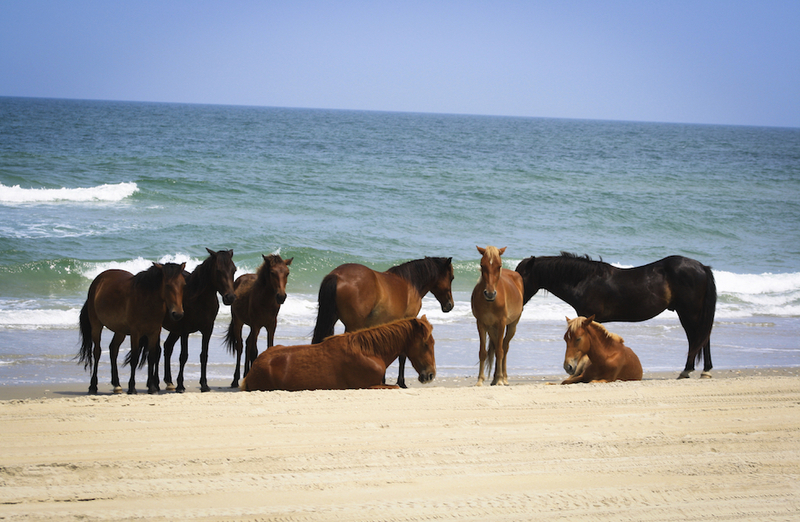 What was once a quiet hunting and fishing village, Corolla and its prime Outer Banks oceanfront location is now known for being one of the hottest vacation destinations on the entire East Coast. Much of the real estate development in Corolla began around the mid 1980s and early part of the 90s and today, Corolla is a thriving resort community filled with upscale shopping, fine dining, and some of the most beautiful beaches in the country. When it comes to Corolla real estate, luxury waterfront mansions generally take the spotlight, but plenty of condos and vacation homes are scattered all throughout the area to accommodate the busy tourist season that runs from Memorial Day to Labor Day. If you’re a full-time resident, several of the most well-to-do communities on North Carolina’s Outer Banks are located in Corolla, all of which are just steps from the beach and offer that Southern Coastal-style architecture that truly defines this one-of-a-kind seaside town. It’s been said that Corolla’s population during the offseason dwindles to around 500 residents, but for those who are here year-round, Fall is widely considered to be the best time of year. The weather is mild and congestion around Corolla is nonexistent. When it comes to the peak months of the year, there’s not much to dislike about spending a hot summer day lying around on the beach, collecting seashells, swimming in the Atlantic, and taking in the lively atmosphere that surrounds Corolla each and every day. So whether you’re searching for a spectacular full-time residence, luxury oceanfront estate or just a quaint shore side villa to use as a rental property, Corolla real estate is sure to provide a high return on your investment, especially as development here continues to flourish. If you’d like more information on Corolla real estate for sale in North Carolina, contact local market expert – Matt Myatt, Senior Associate Broker at Village Realty, today at (252) 207-6588.